No heat, broken igniter. Remove , replace,test. Heston. In Baldwin, PA, you need high–quality heating and air conditioning systems if you want to get through the year comfortably. Small portable units simply aren’t enough to condition your entire home and keep you cozy and healthy. Boehmer Heating & Cooling offers whole–home heating, air conditioning, and indoor air quality systems along with the services that keep these running. You can trust that your furnace, air conditioner, heat pump, boiler, or air purifier will work properly after we service it, or we will work to find you an efficient replacement system. Boehmer Heating & Cooling has been the trusted choice for HVAC services in Balwin, PA since 1933. To schedule heating and air conditioning services in Baldwin, PA, give us a call today! Our experts will discuss your options with you and make sure that your new heating system is the one that is the best fit for you, your home, and your family. Whether you need a boiler, a gas or electric furnace, or a heat pump, we can work with you every step of the way. Additionally, we offer comprehensive heating maintenance services, expert repairs, and replacement services. Contact us to learn more about our heating services and to speak with a friendly technician. What’s Involved with Professional Heating Installation? 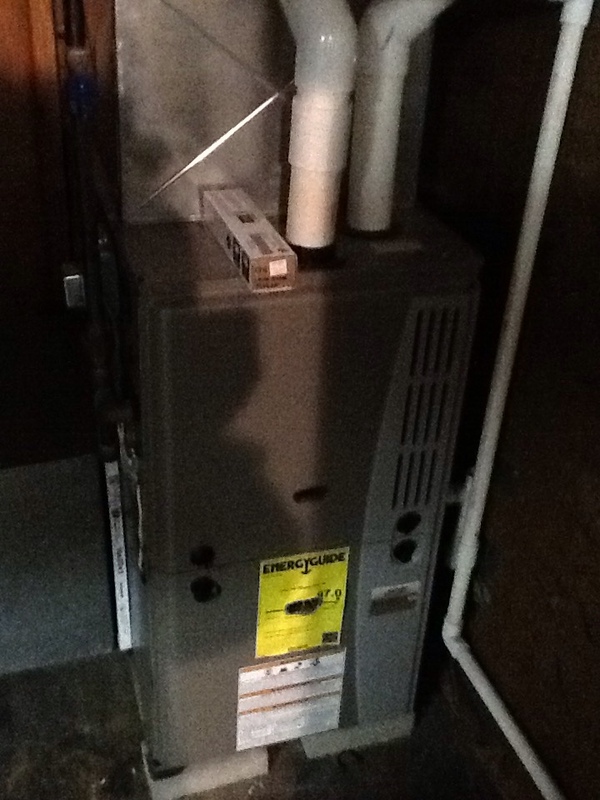 Professionals must take careful measurements before installing a new heater. If the system is only slightly too large or too small, it simply cannot run as needed. It may short cycle or wear down quickly, and your energy bills could be quite high no matter how efficient the system is. Hire a heating expert, like those at Boehmer Heating & Cooling for your next heating installation to make sure every step is completed properly. Are You in Need of Heating Repair? Don’t ignore the signs that your heating system is struggling. If temperatures don’t seem to be reaching the settings on the thermostat, you should have a technician come over and take a look. The problem could spiral out of control if it is left alone for long enough, and you may have to spend more money on emergency repairs later on for a broken down system. Loud noises, high bills, and longer heating cycles are all cause for concern, so call our experts today. As long as you have a working set of ducts in your home, you can have an electric or natural gas powered furnace providing heat to your home. And today’s furnaces are so efficient, you may be surprised to see how much your monthly bills drop if a system you are replacing is decades old. Call our team to find out about the efficiency and performance you can get with some of today’s most popular brands. Boehmer Heating & Cooling offers installation, maintenance and repair services on furnaces in Baldwin, PA and the surrounding area. While the design of a heat pump may look a lot like your common central air conditioner, it has a feature you won’t find on other central AC systems. Heat pumps have valves that reverse the flow of refrigerant, which is what gives it the ability to heat a home and cool it. We install and service heat pumps in the Baldwin, PA area. Do not hesitate to call us for more information about heat pumps or to schedule services. We always recommend that homeowners looking for a new air conditioner should look into the efficiency ratings of the systems that they are considering. An air conditioner with a low efficiency rating may have a low price tag, but the overall cost of operation can be overwhelming. Choose a system with a SEER of 16 or higher if you want to see low energy bills through the summer. And schedule air conditioning installation and services with our pros in Baldwin, PA.
We can locate the air conditioning system that is the best fit for any home. That is because we take the time to measure the space on your property and consider factors like insulation and the size of your household. We keep up–to–date with recent advancements in technology, so we can inform you of which systems are the most efficient and have the longest life expectancies. That’s why you should always schedule air conditioning installation with the pros. You certainly know to call an air conditioning specialist when your system has broken down completely. But we recommend calling much sooner if at all possible. If you notice any signs that your air conditioner is struggling, shut off your system and call your local air conditioning repair technician right away. This includes long run times, water leaks, short cycling, and strange noises from the inside or outside. When you work with Boehmer Heating & Cooling to schedule routine air conditioning maintenance, not only can you avoid the need for more costly repairs, but you’re also helping to improve the efficiency of your home. With cleaning and AC tune–up services, your system will run more effectively, cutting down on the energy needed to cool your home. Give us a call to learn more about our air conditioning maintenance packages. What’s Involved with Geothermal System Installation? A geothermal heating and cooling system uses thermal energy from the earth as part of the home heating and cooling process. But is this a good fit for your home? You will need to have enough space on your property to install a large underground loop system that absorbs heat. The rest of the system looks much like a conventional unit, and the inside blower components will blow air through the ducts and into the rooms of your home. Call Boehmer Heating & Cooling to find out whether this system is ideal for your house in Baldwin, PA.
Do You Need to Improve Your Indoor Air Quality in Baldwin, PA? In many homes in the U.S., the air quality indoors is actually worse than that of the air surrounding the home. This is partially due to the fact that we keep our homes sealed so tightly. Our air conditioning and heating systems just continue to cycle any contaminants throughout the home, and this has a major effect on anyone with allergies, asthma, and other respiratory issues. If you want a whole–home indoor air quality solution, get in touch with our experts. We offer whole–house air purifiers, humidifiers, and UV germicidal lights. Are you still on the fence about whether you need to install a whole–home air purifier? Get in touch with our team, and we can give you all of the information you need to make the decision. We can help you understand the maintenance involved with owning an air purifier, and give you recommendations based on the information you give us about your home. Contact us for air purifier installation and service.